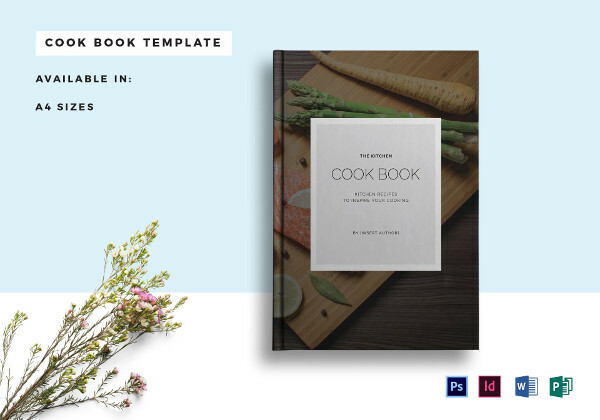 If you are a cook, or even a chef, you may have planned on creating a cookbook. Having your own cookbook is a great way to list down all the recipes you’ve mastered and the recipes that interest you. 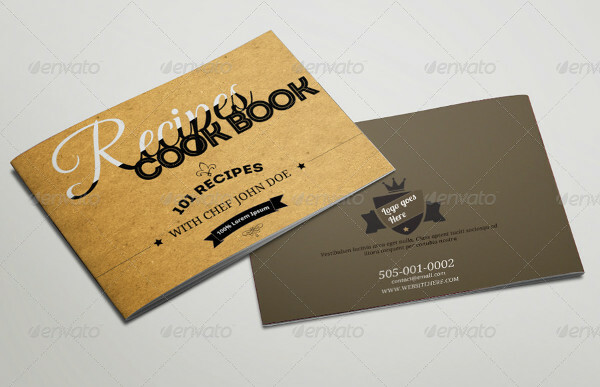 Additionally, a cookbook can be a good business opportunity, as you can sell the cookbooks to family and friends. You may also see recipe cookbook catalog examples. 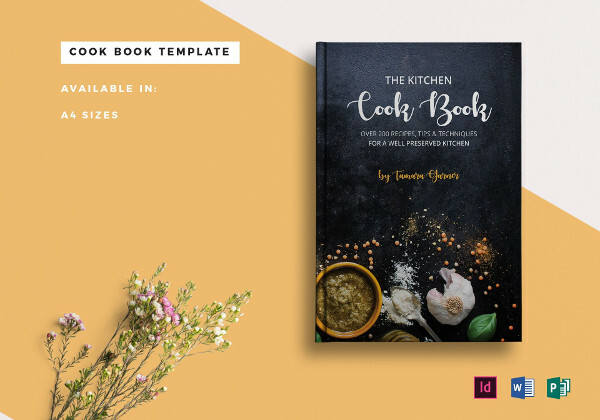 To help you create your own cookbook catalog, we have provided some catalog examples that you can download and use when you will be creating your catalog. You may also see multipurpose catalog examples. 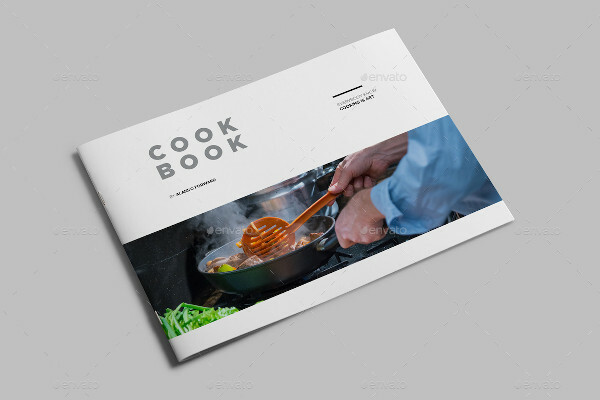 Listed below are some tips in creating a cookbook catalog. 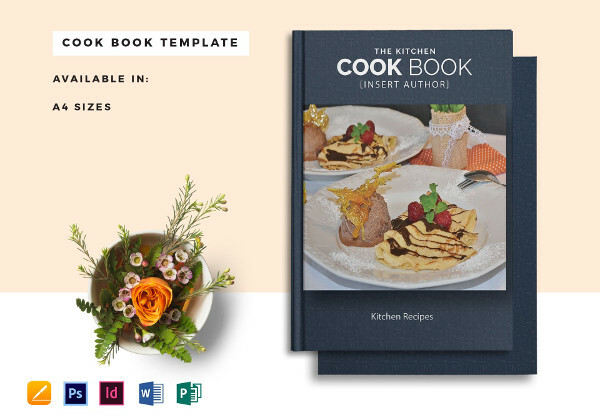 These tips are essential in creating a cookbook catalog so that your cookbook will be thoroughly enjoyed by your readers. A cookbook catalog is never complete without pictures of the food you will be including in the actual cookbook. Think of a cookbook as a graphic novel rather than a traditional book or novel—art and style is prioritized over anything else. A cookbook catalog will simply not be effective if pictures are not included. You may also see real estate catalog examples. When including pictures or photos of your recipes, make sure that they are of high quality, and don’t forget to add some a little bit of art in the pictures (i.e. lighting, clean white or black backdrop, and other photography elements). Never post blurry pictures or pictures taken from a bad camera. Terrible photos will ruin the quality of the cookbook catalog. You may also see sales catalogs. Although photos can provide another layer of aesthetic to the cookbook catalog, the recipes still remain as the most integral part of the cookbook. 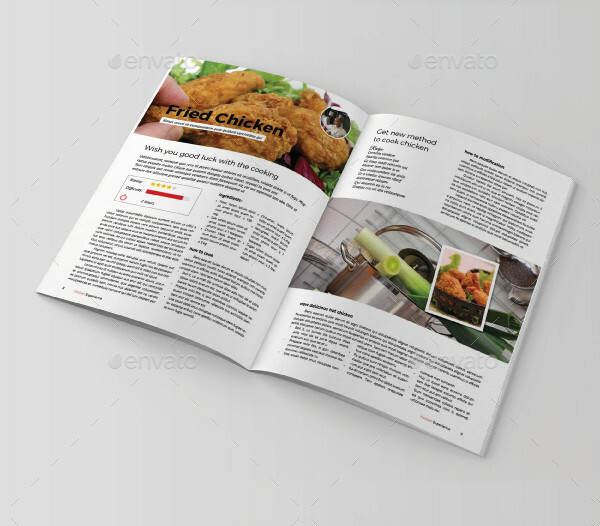 A cookbook catalog is never a cookbook catalog without the recipes, so make sure the details listed in the cookbook are clear, concise, and detailed. An effective cookbook lists down step-by-step guide all of its recipes, from the easiest 5-minute recipes to the most difficult recipes which require at least ingredients. A true cookbook makes it easy for the readers, so that they can also cook the recipes listed in the cookbook. Even the most difficult recipes can be cooked by the most amateur cooks, so make the recipes detailed and easy for them (even though it will take them a long time to finish cooking). Ideally, there should be one page for one recipe. But for lengthy recipes, limit it to two pages maximum. You may also see product catalog examples. In regards to listing down the recipe, specify the ingredients and their specific quantity of volume (for example, one onion or two cloves of garlic). After listing down the specific quantity, list down how the ingredients will be prepared or cooked (for example, onion, chopped and mix with butter). If the ingredients will be mixed together with other ingredients, list them down in the recipe as well. You may also see toy catalog examples. 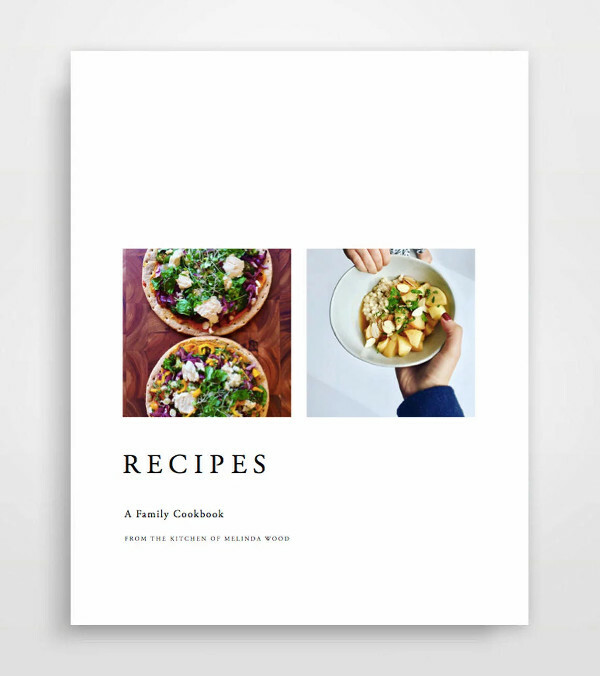 One marketing technique in creating a cookbook catalog is that you don’t need to include every recipe you know of. If you can cook one hundred dishes, don’t include all of them in a single cookbook. 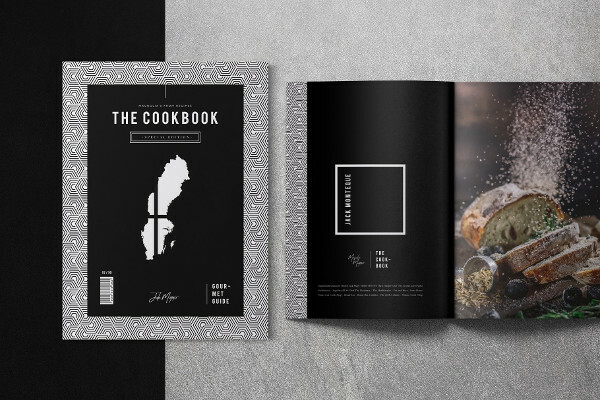 Think of the earning possibilities you can do if you can make three or four volumes of your cookbook catalog, and you won’t have to spill all of cooking secrets in a single cookbook alone. You may also see travel catalog examples. If you are pursuing the idea of multiple cookbook editions, make sure to include your best recipes in the first volume. Your best dishes can either be simple ones or the most meticulously prepared dishes, but as long as you master cooking these dishes, you can place them in the cookbook with confidence and with the approval of your readers. You may also see fashion catalog examples. You will be divulging your secret ingredients in the cookbook, but if you are not comfortable sharing your recipe that has been passed down from generation to generation, you might as well alter the recipe. But make sure the recipe is still of top quality, and the dish will still be eventually enjoyed by the people making your recipe. Humility is always a great trait a person can have. In this case though, if you are trying to create a name for yourself, you need to do some advertising and promotion. Your cookbook will never sell and you will never get any recognition for the dishes you made if you don’t create your personal profile in the cookbook catalog. 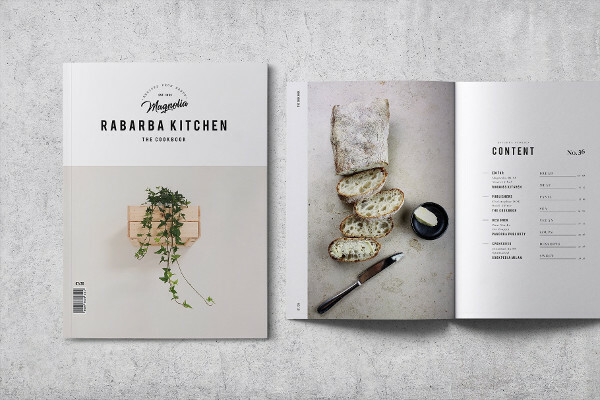 You may also see restaurant catalog examples. A profile should not be more than two pages long. Insert a half-body photo (preferably wearing a cook or chef attire) in the left- or right-hand side of the profile. Other than the photo, the profile should also consist of a short history of yourself and how you began your culinary career. Don’t forget to include your motivations as well as inspirations on what made you decide to not only create a cookbook but pursue cooking as a source of livelihood and not just a hobby. You may also see construction company catalog examples. You can insert the profile in the first page or last page of the cookbook (after the appendix). You can also insert additional photos in the profile, such as your favorite dishes or photos of your family. Cookbook catalogs can rather be dull and very plain. The result is a book that is written like a novel which will definitely result to mixed reactions from your readers. Cookbooks require visual representation for readers to assess if they cooked or prepared the correct dish. Merely describing the dish or recipe is not enough. 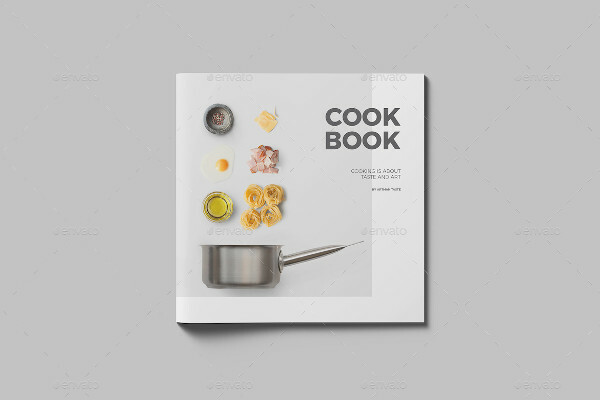 If the reader is a beginner in cooking and sees that your cookbook is mostly text, he will have a hard time creating the recipes listed in your cookbook. 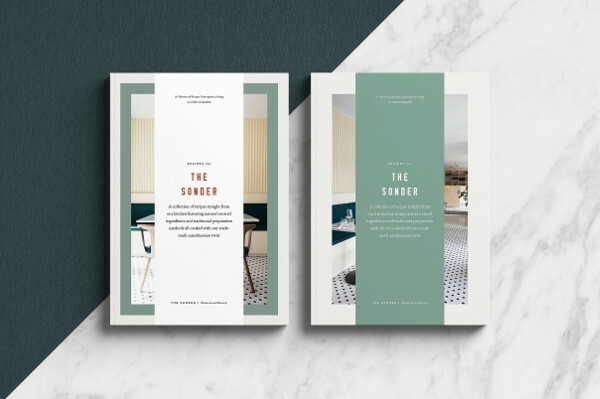 You may also see minimal brochures. For the recipes, insert photos of the final result of the dish (garnishing and plating included). Insert background designs or border designs. It is highly suggested to use food-related designs. Use different colors for the cookbook pages. One suggestion is to use different color schemes for each category or type of dish. You may also see T-shirt catalog examples. Have a separate page that is filled with photos of the recipes listed in the cookbook. This can be incorporated in the last few pages of the cookbook catalog. This is one of the easiest yet most delicious dishes you’ll ever make in your life. Chicken is already everyone’s favorite, but mixing chicken with cheese brings this dish to another level. Prepare chicken breasts, then dip them in milk, cheddar, and breadcrumbs. Bake then serve. You may also see service brochure examples. The Italians have given so much to humanity, including pasta (specifically, spaghetti). Substitute ground beef with ground pork if beef is too expensive, then mix with canned tomato sauce, chopped garlic, onions, and bell pepper. Cook the pasta simultaneously with the meat sauce to save time. Once the pasta is cooked, drain using a colander, then mix with the sauce. You may also see photography portfolio catalog designs. Fish can be very dry and chewy when cooked the wrong way. The saltiness of the fish compliments wonderfully with the sour lemon sauce and the thick and creamy butter. Even if you’re not a fish lover, you will love this dish. You may also see travel agency brochures. Here is another pasta entry in the list. Penne is a great alternative if you don’t have spaghetti noodles. This dish also uses tomato sauce, but instead of ground beef or pork, it utilizes sausage and chopped bell peppers. Garlic and olive oil also adds to the taste of this wonderful and easy-to-cook dish. You may also see interior design magazine examples. Don’t have time to heat the pan since you’re already very hungry? Use the leftover bread you have in the fridge and top it with mozzarella cheese and sliced olives. Drizzle the bread with olive oil and a little bit of salt and pepper, then heat in a microwave or in an oven toaster for a few seconds. A quick yet very delicious meal. You may also see wholesale catalog examples. Calling all vegans! This is the dish for you. The only time-consuming aspect of this dish is the chopping, but if you’re only serving two people (including yourself), then it won’t be a problem. Dice some tomatoes, zucchini, cucumber, corn, bell pepper, and onions. Mix the veggies with the black beans (roast it beforehand), add chopped cilantro, chili powder, and lime juice, then wrap in a roasted corn or flour tortilla. You may also see landscape brochure examples. We hope you enjoyed reading this article as you will be creating your own. We also provided some examples that you can purchase at very affordable prices. You may also see interior design catalog examples.